Thinking about moving to North Dakota? A lot of US states are currently weary of their economic state. Most are trying to figure out how to make more jobs and how to keep their budgets afloat. But not North Dakota though. 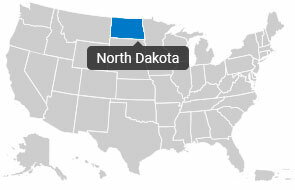 North Dakota, located in the Midwestern region of America, is actually doing pretty well! Let’s get to know the area some more. Bordered by Canada to the north, Minnesota to the east, Montana to the West, and South Dakota to the south- North Dakota is the 19th largest state in the US when it comes to area. Despite the huge land area though, it is the third least populous with only 672,591 residents in 2010. For more than a decade, the capital Bismarck and its largest city Fargo, together with the rest of its major centers have seen continuous growth thanks to the Bakken oil shalefields. Big area, big income, few people- do you know what that means? It’s a great place to move to. Before you pack your bags and fly to North Dakota, you have to make sure that you are well-prepared. Whether you’re from a nearby area or from a state across the country, it would be best if you would hire a professional moving company that will help simplify things for you. A full-service company will help you from packing to loading, shipping to unloading. Basically, you’ll just have to supervise and monitor the process. You have to be careful in choosing the right company though. There are a LOT of North Dakota movers and if you don’t know where to look, you can get lost in the entire thing. Plus, there are also a lot of scam brokers out there who will not think twice about abusing well-meaning customers like you. Your best bet will be to get quality professionals who will give you fair prices. You’re in luck because thanks to the internet, searching for the best company is as easy as 1, 2, 3. You can simply visit TopMoverQuotes, fill out a short form and just like that, you’ll get connected with the top providers who are fit for your needs. 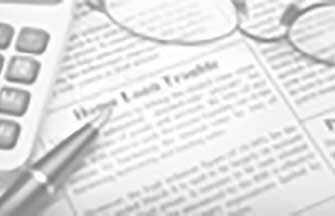 Online sites like TopMoverQuotes are the newest and fastest way to get moving quotes for North Dakota relocations. Be careful when using other websites though because not all of them are verified, with proven experience in the industry. It’s best to trust those that are well-connected with credible companies that can cater both local and long-distance jobs. You wouldn’t want your dream North Dakota move to turn into a nightmare right?